One of the founding congregations of Congregation Or Ami, Congregation Or Hadash, was home to Dr. Jeffrey Hoffman, a NASA astronaut aboard five separate space shuttle missions. Dr. Hoffman was the first Jewish male astronaut, and carried a Torah scroll aboard the Space Shuttle Columbia during his last mission from February 22 to March 9, 1996. He read the opening verses of Genesis while in orbit over Jerusalem on March 2, 1996. With the merger of Congregation Or Hadash and Congregation Beth Am, Congregation Or Ami proudly gives our Space Torah a permanent home. 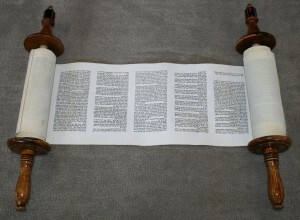 At each Yizkor service throughout the year, we read from our Austerlitz Torah and the Space Torah. The Space Torah is used in memory of the seven astronauts who perished in the Columbia capsule in 2003. In that mission Ilan Ramon, an Israeli Astronaut and a grandson of a Holocaust survivor from Auschwitz, took another Torah scroll in space. 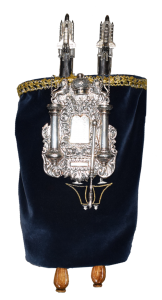 We remember those who lost their lives by reading from the only Torah scroll to be taken into space and safely return. Congregation Or Ami recently celebrated the 20th anniversary of Dr. Hoffman’s shuttle mission at our Space Torah Gala. To view the video that played at our gala, click here.